NASSAU, Bahamas -- Non-performing loan levels are higher in The Bahamas than in comparative Caribbean countries, including Barbados, Jamaica and Trinidad and Tobago, while nowhere among the four countries did bank profitability slide so steeply as in The Bahamas over the period 2010 to early 2013. The challenge currently faced by the sector relating to non-performing loans has led the International Monetary Fund (IMF) to recommend, and the government to agree, that more reliable housing price data would be helpful for the banking sector, which has been advised to “closely monitor collateral values”. 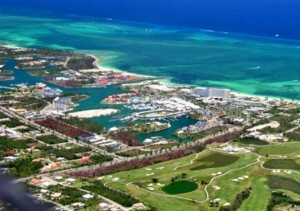 According to data released by the IMF, The Bahamas already had the highest level of non-performing loans in its banking system in 2010, and these climbed consistently each year between 2010 and 2013, keeping The Bahamas at the bottom of the pile among the comparison countries for credit quality. The data points to the severity of the ongoing challenge within the Bahamian banking sector of coping with an overhang of non-performing loans. Data provided by the IMF in its Article IV Consultation report, where it focused in on the Bahamian banking sector and its level of non-performing loans (NPLs), showed that Barbados saw its NPLs rise from what was a lower level than The Bahamas to a level almost equal to this country – around 14 percent of total loans – by 2013. However, in Jamaica and Trinidad and Tobago, two of the three comparison countries in the report, NPLs have remained much lower – falling to six percent and five percent respectively by 2013. No analysis was provided of the reason for the lower NPLs in those countries; however, statistics show that The Bahamas has maintained a higher level of unemployment than both Jamaica and Trinidad and Tobago throughout those years. While urging that the high level of non-performing loans points to the need for “intensifying the monitoring of financial institutions”, the IMF said that at an elevated level of 14 percent of total bank lending, non-performing loans appear to have “peaked” in The Bahamas. This will no doubt come as a relief to banking institutions in this country, given that the elevated NPLs have coincided with a steady decline in return on assets (ROA) in The Bahamas, to a level only beaten by Barbados, according to the report. By 2013, The Bahamas saw an average ROA in the banking sector of around 1.3 percent, while Barbados recorded just 0.6 percent. Jamaica’s average ROA in the sector was around 2.2 percent, while Trinidad and Tobago saw 2.1 percent in the same year. While Barbados’ ROA in the banking sector was lower than The Bahamas’ by 2013, the steepness of the slide between 2010 and 2013 was greater in this country, falling from a 2010 high of around 2.8 percent. Pointing to funds set aside by Bahamian banks to cover any losses associated with such loans, the IMF said that they are presently “provisioned at over 50 percent”. Regional comparisons show that Bahamian banks have “ample capital buffers to provide shock-absorbing capacity”, with this country having set aside the greatest amount of capital to risk weighted assets of any of the four countries. Despite this positive assessment of sector stability, the IMF said in the report that it had agreed with Bahamian authorities that it would be desirable to have better house price-related data to help refine collateral assessments and provisioning for loans. “In view of persistently high NPL rates, the staff encouraged the authorities to continue closely monitoring commercial banks’ credit risks and collateral values... While banks have aggressively written off non-performing consumer borrowing, in light of weak real estate and labor markets, many saw little benefit from aggressively addressing non-performing mortgages -- which now account for the bulk of NPLs”, notes the report. “Most viewed their case-by-case approach to handling restructuring as sufficient, acknowledging that this would lengthen the process, but seeing benefit in not flooding the market with foreclosures. The authorities viewed the legal framework for a case-by-case approach (including the incentives) as adequate, and thus supported the case-by-case handling of the litigious mortgages. “However, they agreed with staff that it would be desirable to develop more reliable house price indices to promote a more liquid and transparent real estate market and thus help refine collateral assessments and provisioning,” states the report. In many countries worldwide, government authorities produce detailed data on trends in house prices that is not available in The Bahamas. The Office of National Statistics in the United Kingdom produces a report monthly which notes the extent to which house prices overall have increased or decreased, the average house price, variation in average prices by region, prices paid by first time home buyers, and more. A banking industry executive, speaking on condition of anonymity, agreed with the IMF that better house pricing data for The Bahamas would be helpful to the industry. “We can all appreciate the importance of accurate and complete property valuations and reliable housing price indices. A robust MLS (multiple listing system) would provide a benchmark for realtors, purchasers, sellers and the banking sector to operate with sound information on pricing trends. Transparency in this regard would be positive for both the real estate and banking industry,” said the executive.